With the New Year comes a sense of refreshment. We’re re-energized to tackle new goals and our wellness. As part of that wellness plan you may be looking at ways to refresh your diet. When I think of foods that are refreshing, citrus immediately comes to mind. Citrus fruits are known for being high in Vitamin C which as an antioxidant helps to protect the body from damage. In addition, Vitamin C helps in collagen synthesis, strengthens resistance to infection, and helps in absorption of iron. Oranges are probably the best know citrus fruit and there is a great variety to be enjoyed. 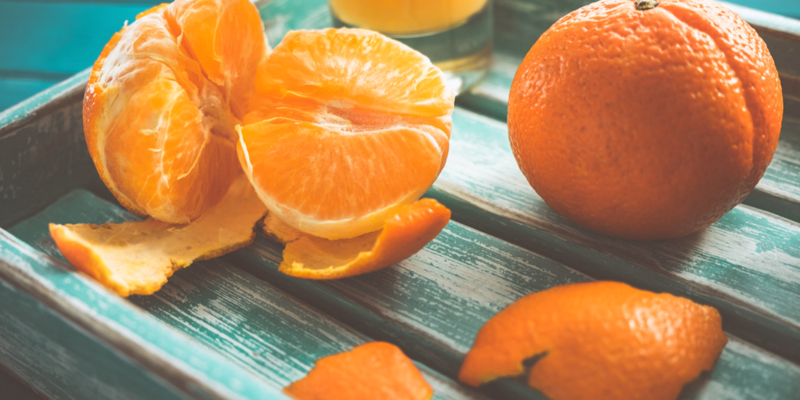 Navel oranges are sweet, seedless and easy to peel. Cara Cara oranges have pinkish red flesh and are super-sweet. The flesh of Blood oranges is bright red and is a bit more tart than sweet in flavor. But don’t forget to enjoy other citrus fruits like lemons, limes, grapefruit, tangelo (cross between a tangerine and grapefruit), pummelo (distant cousin to grapefruits) and clementines. All month long, we will be featuring Citrus fruits in our culinary classes to awaken your taste buds this winter.